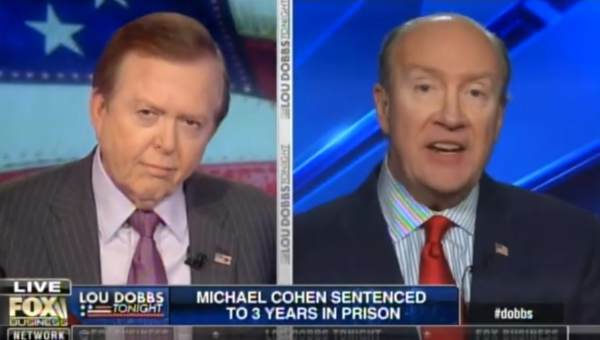 Former Assistant United States Attorney for the Southern District of New York and author Andrew McCarthy joined Lou Dobbs to discuss the latest charges against former Trump attorney Michael Cohen. Cohen was sentenced to three years on Wednesday for crimes discovered after federal prosecutors initiated an investigation on the former Trump ally. McCarthy went off on Judge Andrew Napolitano for his misrepresentation of the law in attacking President Trump. Andrew McCarthy: What I am saying is it remains to be seen whether this was actually a crime or not even if it happened in the way Cohen did. I was quite surprised just a few minutes ago watching Judge Napolitano on the program right before yours say a federal judge had “ruled” that this is a campaign finance violation. That’s not what happened at all. What happened was the Southern District charged what was very dubiously allegedly an in-kind campaign finance donation and Cohen elected, I think on strategic reasons, to plead guilty to that charge without challenging the underlying question which is a profound legal question about whether it actually is an in-kind contribution or not. The judge never ruled on that… What happened here is the judge accepted the guilty plea but that is not binding on President Trump. So if he was ever charged he would have the opportunity to argue that this is not a campaign contribution. Cohen’s concession on this point is not binding on the president in any way.